The best way to prevent infectious diseases and chronic illnesses in your dogs and cats is through vaccinations. 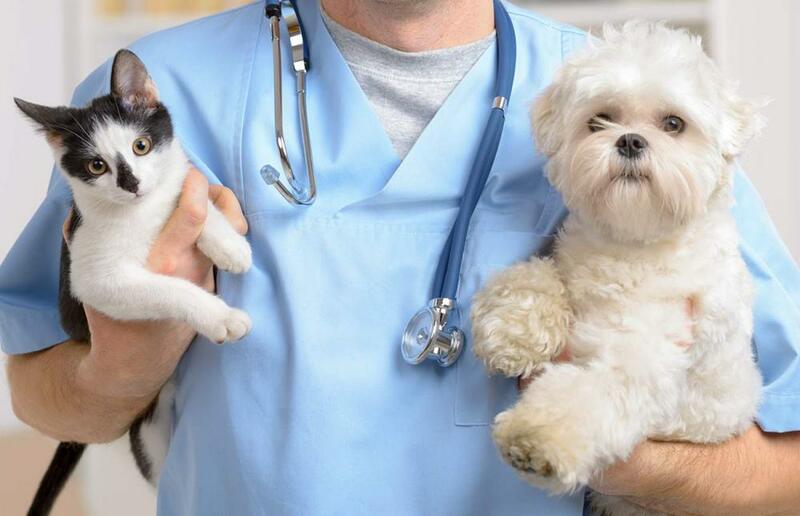 Here at Radford Animal Hospital, we provide complete vaccines including canine and feline vaccinations. Our goal is to protect your pet, and your family, through complete preventive care. Become familiar with the types of vaccines we offer for your pets here. For dogs that are active outdoors or are around other dogs or animals, such as livestock, we offer non-core dog vaccinations. These include vaccines for Lyme disease, infectious bronchitis, and bacterial blood infections. If you are not sure about which non-core vaccines your dog might need to speak with your veterinarian in Radford for more information. We will help you determine whether or not your dog needs these additional vaccinations. As for cat and kitten vaccinations we vaccinate all cats including those indoors. This is because your indoor kitten could be in contact with any variety of infectious diseases from other animals, such as bats, mice, or other cats. For the kitten vaccinations, we typically recommend a vaccine schedule of every four weeks starting at six weeks of age and ending at 16 weeks. 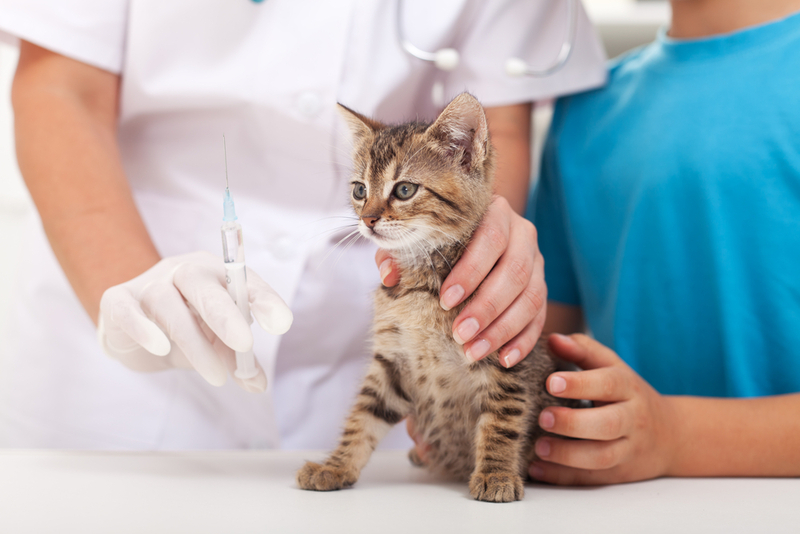 The core feline vaccinations we offer include rabies, feline distemper, feline herpesvirus and calicivirus. We also provide Feline Leukemia vaccinations. Getting your dog and cat vaccinations on schedule and in completion is the greatest gift you can give your pet and your family. Dogs and cats that are protected from some of the most contagious, common and deadly animal diseases out there ensure their longevity. Your family is able to love and care for these vaccinated pets longer without the burden, both financially and emotionally, of tending to sick animals. If you have concerns about canine or feline vaccinations please reach out to us. We are more than happy to answer your questions and provide you with research and information that support vaccinations for your pets. Visit Your Radford Animal Hospital today! To schedule, your dog or cat vaccination appointments contact Radford Animal Hospital at (540) 639-3891. Ask us about our new patient special when you call. Vaccinations are a key component of preventative healthcare, both for humans and animals. However, not everyone knows a lot about them. Here in Radford, Blacksburg, Dublin, and Christiansburg, we get asked the same questions many times by conscientious pet owners who want to know what is best for their pet. Vaccines give a pet immunity to a disease and it does so by provoking an immune response using a killed or otherwise modified antigen. After this immune response has been mounted, any infection by the actual disease should be immediately quashed thanks to the already-present antibodies in your pet's system. When Should You Vaccinate Your Pet in Christiansburg? Although the vaccinations given are different, dogs and cats in Christiansburg (and elsewhere) are usually vaccinated on about the same schedule. Puppies and kittens should receive a series of vaccines starting at age 8 weeks and going through age 16 to 20 weeks. During this time, they will be vaccinated every 3-4 weeks or so. Adult animals should receive booster shots on a regular basis. Some vaccinations are labeled for 3-year use, while others are meant to be given annually. Our veterinarian can discuss which choice is right for your pet at your appointment. Why is it Important to Vaccinate My Pet? Many serious diseases can be prevented by vaccination. Even when most pets in an area are immune and cannot spread the disease, wild animals remain a source of disease at all times that cannot be eliminated. For this reason, keeping your pet's shots up to date is essential to their well-being. Some serious diseases, such as rabies, can be spread from animals to humans. In Virginia, all dogs and cats 4 months of age or older are required to be immunized against rabies. This vaccination is usually given at 3-4 months of age, and then again a year later. Subsequent boosters may be given at 1-year or 3-year intervals. All vaccines come with a limited amount of risk. However, most negative vaccination reactions are mild and dangerous reactions are rare. Over-vaccinating is not recommended, but under-vaccinating can be damaging to your pet's health. Our veterinarian will help you decide on the best schedule and types of vaccinations for your pet. Our clinic offers core vaccines for all dogs and cats, as well as 'lifestyle' vaccines that are appropriate for some pets but not others. Radford Animal Hospital serves pets in Radford, Christiansburg, Blacksburg, Dublin, and surrounding areas. To make an appointment with us, call us today at (540) 639-3891.